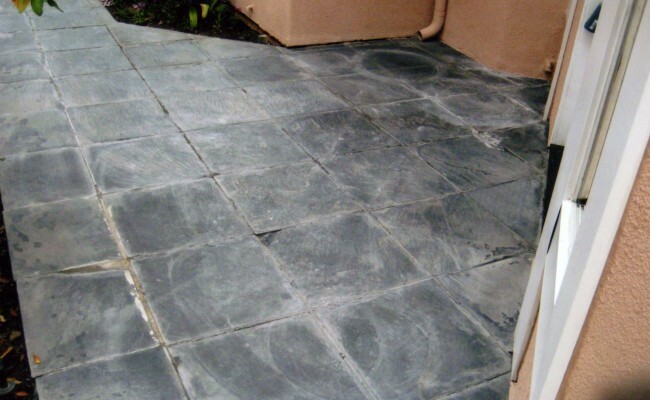 Here are before and after pictures that show the results of a Slate Restoration, Cleaning job we did on a Slate Patio in Fullerton, Orange County, California. 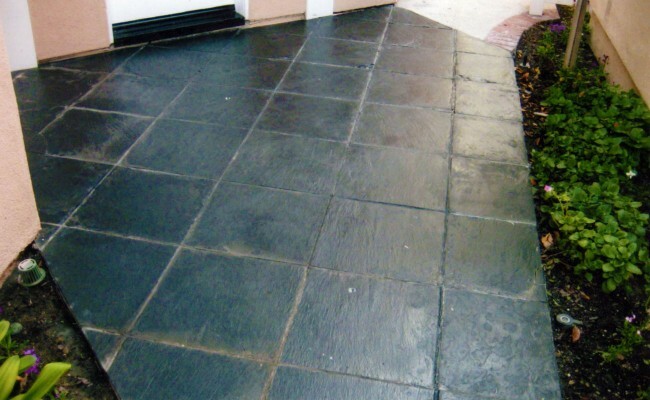 This slate patio had been neglected for the 28 years since it had been installed. This customer was planning on removing this slate patio because of its poor condition. The home was going to be put on the market soon and they feared that this slate patio would make a poor first impression. For a fraction of the cost of the removal alone much less a brand new patio we were able to show significant improvement and help make this house market ready. 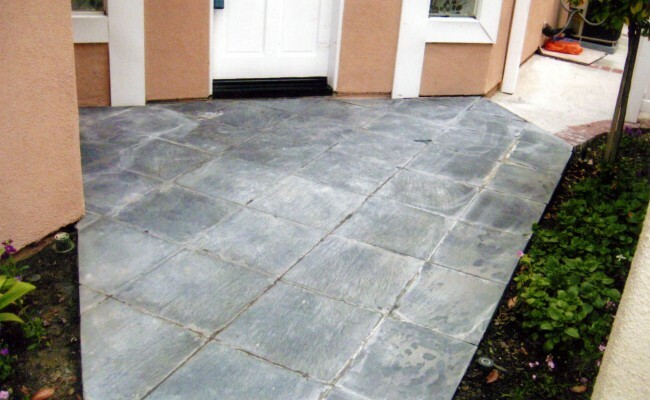 The enhancer sealer that we used helped to bring out the natural color and prevent any more shaling of the slate. Shaling occurs when layers of the slate break off. 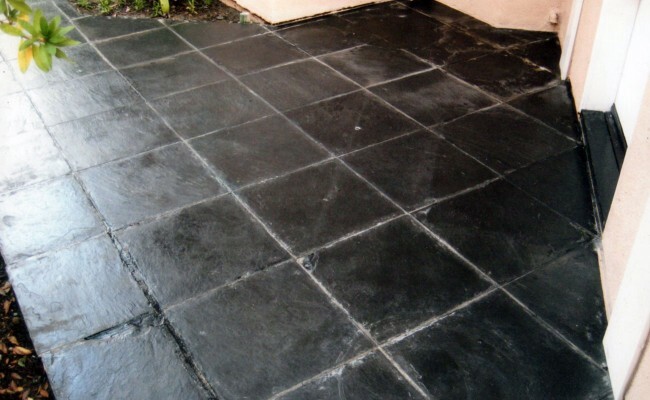 If you have a Slate Patio that needs Slate Restoration, Cleaning and Polishing and live in Fullerton, Orange County, California call Vaporlux Stone & Tile at today.